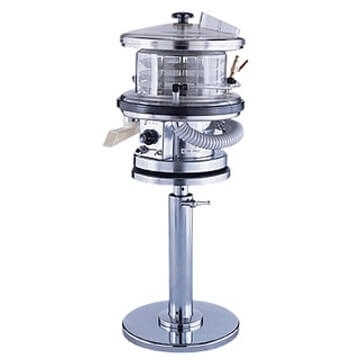 With adjustable height, it may used with any type of press. 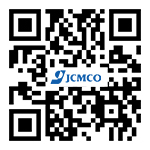 JCMCO Tablet Deduster is equipped with specially designed cleaning system which achieves effective dedusting and makes perfect finishing. First, the tablets fall into top plate direct from presses and travel by gently vibration, its intensity could be adjusted during operation. While travelling in 3 meter long perforated stainless steel tray, tablets turn over several times and any loose dust on tablets in blasted with compressed air. Finally, the dust-laden air is extracted by vacuum collector. Electricals: 220V/50HZ or 110V /60HZ, 0.5 Amp.